Learning and development has always been at the core of the Oliver James Group. As the business has grown, the portfolio of services and programmes available to the staff has increased significantly. As such, the Business Academy was created to ensure that all employees have the tools and resources available to them, to grow with the business and develop professionally. The approach is simple: all employees are involved in a core programme, which grants them access to relevant education designed to develop their skill set, enabling them to master their role. Business Academy provides a varied approach to learning. Workshops encourage employees to learn from peers, whilst digital training technologies enhance collaboration, online sharing and facilitate remote participation. Perhaps most importantly, every individual has access to one-to-one, tailored coaching to accelerate their development. Based from the Manchester head office, David is the Lead Learning and Development Consultant for the UK, Ireland and Italy. He joined the Oliver James Group in 2011 with a background in managing a large direct sales team. Over the first four years he recruited into the permanent Actuarial market as well as internally for OJ, before he became the first employee to join the L&D team in 2015. David’s key responsibilities include onboarding, developing and upskilling new L&D Consultants as well as coaching and training senior members of the OJ Group. He has established himself as a trusted partner to many individuals in the business and continues to lead on key projects and initiatives for the global business. Razan joined the Oliver James Group’s L&D team in January 2016, working out of the Manchester head office. Having previously managed a desk placing technical personnel into the global Oil & Gas marketplace, she enjoyed the mentoring aspect of her previous role and felt that a move into L&D was the perfect next step in her career. Now a Senior Learning and Development Consultant, Razan is responsible for coaching and mentoring sales and operational staff in our Manchester and London offices. She is a trusted member of the team and continues to develop her skillset, currently studying for the CIPD L5 in Learning and Development. Working from the Amsterdam office, Martijn is the Lead Learning and Development consultant for Amsterdam, Brussels and Frankfurt. After college, where he was active as a trainer/coach for sailing teams, he started out his career in recruitment in 2010 as a consultant with a large international recruitment agency. After that he joined OJ in 2015 to combine his coaching/training interests and his experience in recruitment to help OJ grow the Benelux and German markets. Martijn’s responsibilities include coaching and training the senior consultants and managers, developing and upskilling new L&D consultants, onboarding new hires and supporting the local directors with growing the business and solving business related issues. Melissa joined Oliver James with 12 years of sales experience. She most recently worked as a 360 recruiter for five years at a global agency, before switching over to training two years ago. As a Managing Consultant, Melissa enjoyed the support element of her role and helping others to become successful, motivating her to embark on a career in L&D. Currently, she focusses on training consultants in the Frankfurt office, as OJ look to expand their brand throughout Germany. 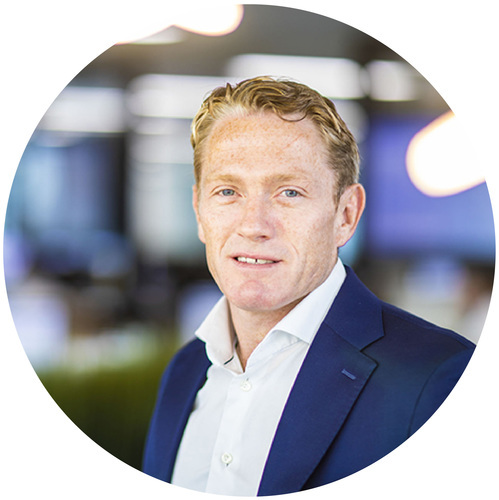 Rick is the Learning & Development Consultant for Oliver James’ Amsterdam office. He joined the organisation in February 2018 after being a recruiter himself for three years, operating in the Pharmaceutical industry. Due to the fast growth of Oliver James Benelux and under the stewardship of Martijn, Rick became the second addition to the L&D team. Rick’s key responsibility is coaching and training new employees from entry level to senior. Working out of our first international office in HK, Richard is responsible for Learning and Development across both Asian offices (HK & Singapore). Having joined OJ in 2014 initially as a consultant within the legal market, Richard made the transition to L&D in late 2017. Richard’s day to day includes upskilling managers within the HK and Singapore offices as well as onboarding new starters and general development of staff. 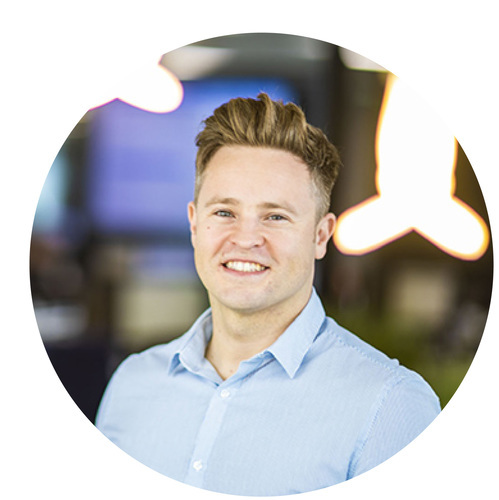 Richard joined L&D due to a desire to drive overall business performance on a more macro scale. Yvette is the Learning and Development Consultant based in New York City for Oliver James. Joining in 2018, Yvette comes with over 10 years of sales experience, most recently across both business development and candidate recruiting for major international brands. Her focuses included Information Technology, as well as the Accounting & Finance sectors. In addition, she’s had previous exposure in Insurance and Consumer Products. Yvette is responsible for all things L&D for OJ USA. This includes, onboarding all new hires, coaching and developing OJ Team Members from Analyst up to Manager level, 1:1 coaching sessions, as well as presenting fundamental learnings to various sized groups and skill levels. Kay joined the Oliver James Group at the end of 2018 as Learning and Development Consultant based in the Manchester Head Office. She joined the business following five years with a globally-recognised recruitment firm, focusing on Sales and Marketing recruitment. Having mentored and coached junior consultants during this time, she joined OJ Group to further specialise in L&D. Kay specifically supports the UK Contract division alongside OJ Group’s rapidly expanding office in Ireland. She works closely with consultants from the day they start right through their career with OJ Group, providing regular 121 coaching and development workshops. Maddalena is the L&D Consultant for the Milan office. She joined the Company in 2018, after living and working in Barcelona for many years. There she gained experience within both the recruitment and teaching industries. Indeed, she was working as recruiter within an outsourcing Company, while teaching HR Management in a business school over there. What really motivates Maddalena in her job is the people of the business: that’s why she joined the L&D team and enjoys the role so much!